Is your dashboard your biggest distraction? - McIntyre Law P.C. Is your dashboard your biggest distraction? 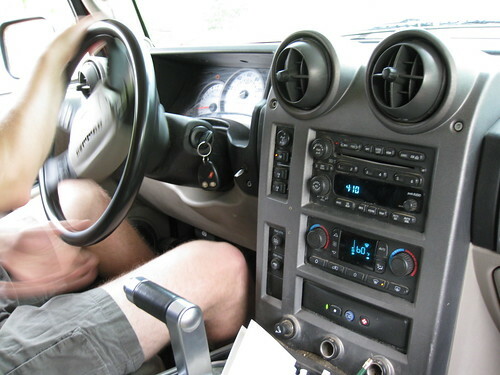 Home » Oklahoma Law Injury Blog » Is your dashboard your biggest distraction? There’s been so much in the news about the hazards of distracted driving, but not much attention has been paid to the fact that one of the causes can actually be your own dashboard. If you think about it, your dashboard is significantly lower and out of sight-stream from the windshield (in other words, you must take your eyes off the road in order to look at it) and it controls so much of what you do for both driving and personal comfort. Whereas your dash was once just a way to fiddle with the radio or adjust the temperature, newer cars have technology integrated into their dashboards (mostly for use by smartphone apps) that they’ve become much more dangerous. Many automakers are working to integrate smartphone apps into dashboards, while arguing that doing so is actually making the dashboard safer. One example of a smartphone app that works in your dash is Glympse. Described by Forbes as “Snapchat for location-sharing”, Glympse is a dashboard-displayed smartphone app that allows the driver to share his location with others for short periods of time. The app developers tout its worth for sharing with family, friends and colleagues for getting together or confirming meeting spots, and they argue that being able to simply enter your location through an in-dash app is safer than sending a text or making a call. The National Highway Traffic Safety Administration disagrees. Its position is that having access to your text messages, GPS images, phone calls and web surfing via your dashboard is too distracting and needs to stop. It’s asking for car manufacturers to design dashboards so that distracting devices are automatically disabled unless the vehicle is in park. The NHTSA recognizes that today’s driver wants and expects his tools to be available, driving or not. The proposed guidelines are not intended to derail dashboard productivity entirely; rather, they are meant to include some restrictions that will make its use safer. In addition to restrictions on using in-dash devices unless the vehicle is in park, the NHTSA set forth a voluntary guideline by which the automaker would ensure that a dashboard task would only require the driver to have his eyes off the road for two seconds, as well as disallowing manual text entry for communication or Internet browsing. This stems from a recent NHTSA study that showed that the likelihood of a crash or near-crash increases threefold when the driver is looking at a screen or touching his device. Presently, Apple has an app in development called iOS in the Car, which is expected to roll out later this year. News reports indicate that major car manufacturers that include Honda, Acura, Mercedes-Benz, Nissan, Infiniti, Ferrari, Chevrolet, Hyundai, Kia, Volvo and Jaguar are supporting the app. The function of iOS in the Car would be to allow the user to not even need to take his phone out of his pocket or bag in order to instantly connect with the car because it would be already programmed via AirPlay or Wi-Fi. This means that in addition to controlling music and phone calls, which many drivers are already doing via Bluetooth technology, the user could also display traffic conditions and maps, employ the help of Siri and send and receive text messages. It is without question that app developers, car manufacturers, the NHTSA and other safety-related organizations including AAA disagree on what is the safest way to manage technology while driving. The moral of the story, though, is that it’s the driver’s ultimate responsibility to ensure that he is paying attention to the road and not allowing himself to be distracted, whether by his hand-held device, or by what he can view or accomplish on his dashboard. The safest bet? Just drive. The phone can wait.